The 12 agreements will include areas like finance and skills development. New Delhi: As many as 12 agreements will be signed during Prime Minister Narendra Modi's visit to the UAE later this week as India and the oil-rich Gulf nation look to intensify economic cooperation, a top diplomat said today. The agreements will include areas like finance and skills development. 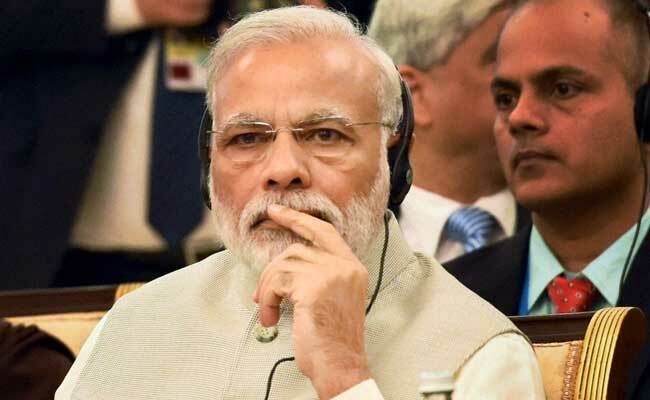 PM Modi will start his visit to three West Asian countries - Palestine, the UAE and Oman - on Friday with focus on cooperation in key areas of defence, security and counter- terrorism. "PM Modi is visiting the UAE on 10 February. There would be a state visit and during that visit 12 agreements will be signed between our countries," UAE Ambassador to India Ahmed Al Banna said. The Prime Minister will participate in the 6th World Government Summit in Dubai on February 10-11 in which India is a partner country. "(At the Summit) PM Modi will address a gathering of over 2,000 people, more than 26 heads of state, the Prime Minister s ministers and more than 2,000 delegates from all over the world," Mr Banna said while addressing a conference here to mark the Abu Dhabi-India Week. This will be PM Modi's second visit to the UAE. He first visited the country in August 2015. According to the Ambassador, these visits are important for enhancing and strengthening the bilateral relations. "If we look at the investment from UAE to India, it exceeds USD 11 billion, about USD 4-5 billion in the format of FDI (foreign direct investment)," Mr Banna said. He pointed out that around 2.8 million Indians are living harmoniously in the UAE and repatriating USD 13.6 billion a year from the Gulf nation to India.